Kanha and Pench National Parks of central India are important Tiger reserves and are a home to the last surviving source populations of Tigers in the country. After the successful plantation of 200,000 trees in the adjoining villages of Kanha National Park in last two consecutive years, Grow-Trees.com shifts its focus to Karwahi Village, situated very closely to one of the entry gates (Turia) of Pench Tiger Reserve. Village Karwahi is home to 3500 tribal communities of Gond and Meena. The plantation of 300,000 trees of indigenous species like drumsticks, custard apple, neem, amla, shisham, jamun etc. in this region of the state will not only benefit the environment and wildlife but also enrich the lives of the local communities. Additionally, tribal women in this region are gaining partial employment and life skills in the planting processes -like nursery maintenance, pit digging, watering and actual planting. In the future, these communities can use the Non-Timber forest produce for personal and/or commercial use. 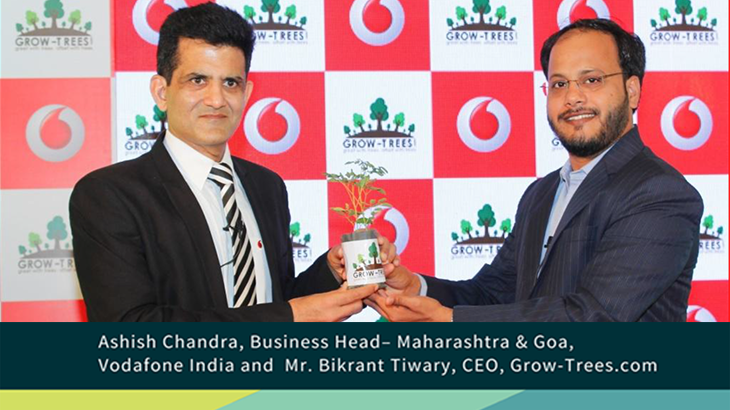 The members of the Grow-Trees.com had accompanied representatives of Vodafone India to the plantation site. The purpose of visiting the plantation site in Karwahi village was to commemorate the successful plantation of 300,000 trees by Grow-Trees.com & Vodafone India which is India’s first private initiative to improve the wildlife corridor between Kanha and Pench. 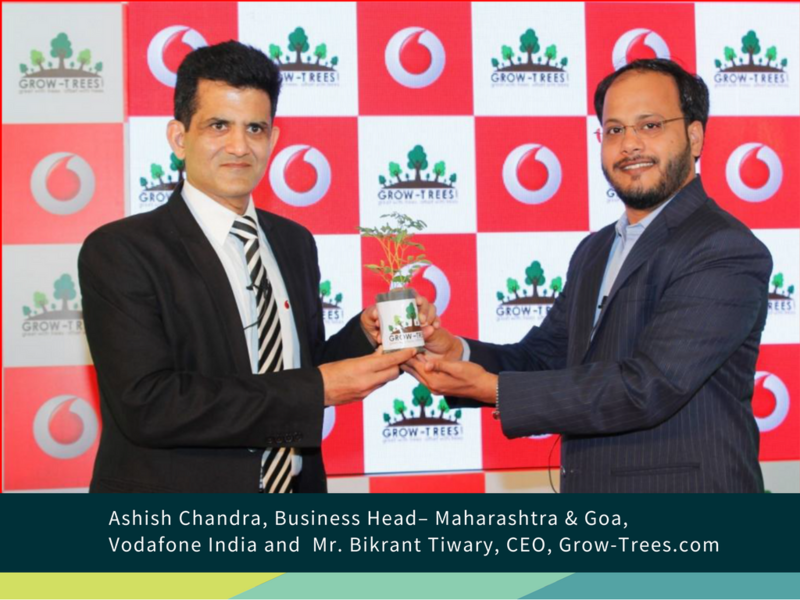 This unique initiative has enabled to offset 33 million kg of carbon footprints by Vodafone across its offices. The team observed the plantation site which was full of trees like Jamun, Lemon and Moringa. The Karwahi village community welcomed the entire team with great hospitality and warmth, from presenting the team with fresh, locally sourced oranges to providing home cooked meals prepared painstakingly in handcrafted earthen ware. They treated the entire team as part of the community, which in itself is an indicator of the good will projects like this create in rural communities. Grow-Trees.com believes that these kinds of initiatives can’t be successful without the local community’s participation. On a periodic basis, Grow-Trees.com’s representatives visit the plantation sites to interact with the villagers, and the Gram Sarpanch and generate awareness about the economic and environmental value of trees. The residents of Karwahi showed an abundance of enthusiasm toward the Grow-Trees.com team and the overall plantation initiative. Grow-Trees team and Ashish Chandra(Vodafone Indai) with the Sarpanch of Karwahi village. Grow-Trees.com Site visits amazing, dandelion, dandelions, growtrees, instanaturelover, kanha, kanha national park, landscape, naturelovers, organic, pench tiger reserve, tree_enthusiast, tree_love, tree_perfection, tree_pictures, tree_shotz, treeframing, treehugger, treelove, treelover, treeshunter, treesofinstagram, treestagram, treetops, treetrunks, vodafone India. permalink.